Here we are with the second bonus show for this season, this week we are looking at the Sanctuary episode Bank Job which features quite a few actors from Stargate beginning with Amanda Tapping and working our way down, it was also directed by Peter DeLuise so there is another strong connection. 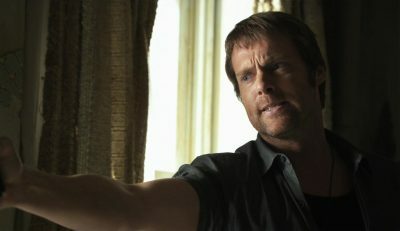 In this third season episode the Sanctuary team are hot on the trail of a significant abnormal that is due to hatch from it’s egg very soon, they egg is in a safety deposit box in a small town bank but since they have the correct credentials then it should be in and out but when the abnormal is missing and on the loose they decide to fake a robbery to allow them to search for this creature which has now taken residence in a human host. It was great to see Gary Jones guest starring once more opposite Amanda Tapping, he played the bank teller George who it turned out was to have a more significant impact on the story then expected, we also got former Stargate actors Ryan Robbins, Peter Flemming, Eric Keenleyside, Tobias Slezak and Robin Mossley appearing in the episode so lots of fun trying to remember who they played on Stargate and which episode. We had the time of course because Bank Job has quite a few montages when do kind of slow the episode down and ultimately a single location limits the action of a show and you rely on the drama and character interaction to keep the viewers entertained. I have to say that they do a very good job casting the episode, the characters were interesting and worked well together with both positive and negatives consequences within the story. Next week we have a first time guest on that bonus show, we’ll be discussing Robert Picardo in an episode of Voyager and we will be joined by Michael Clark, hope you stick around and have a listen but until then happy holidays and take care. During a routine recon of a world with a space gate the jumper comes under attack by Darts which are subsequently destroyed by a powerful energy based weapon seemingly from the planet below. The team land to investigate but find only a primitive agricultural based culture with no obvious technology but in their midst is a being who is believed to be the intermediary between them and their supreme being. Is there an advanced being protecting this world either technology or spiritually based is the question and upon returning to Atlantis the answer will be revealed. 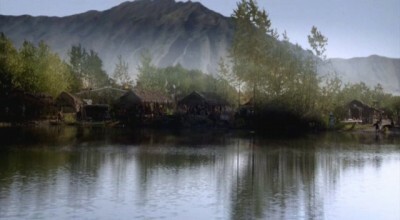 Sanctuary is an entertaining story but not that original, we’ve met Ancients who while not freely operating in the galaxy do have influence in the physical world, Oma Desala and Orlin have appeared in SG1 and in this case Chaya Sar is the first Ancient the expedition have direct contact with. As with the other instances it’s a case of Chaya Sar breaking the rules of her people and being punished with banishment and the eternal care of the people she broke the rules to protect. It’s a clever idea and punishment and also explains why she took the risk to appear to John and the rest of the expedition, for all her many charges Chaya is lonely and the chance to return to the City was too much to resist. Sanctuary throws up some good shippy moments as John does his best Kirk impression and Rodney points it out so once again the franchise grounds itself in our world by referencing scifi pop culture rather than ignore some obvious comparisons as others show have done. While we can place the episode in the overall framework of the Ancients storyline it is standalone which is a pity, I liked Chaya and Leonor who portayed her but perhaps it was the right decision, any action she took in aid of Atlantis would have brought disaster to her planet. We got some feedback via our facebook this week and an audio message from Brad, thank you everyone keep it coming it’s great to read or listen to peoples views on our show and more importantly Stargate. The promo this week is from Trek News and Views a friend of Gatecast and next week we return to Earth for the SG1 episode Full Alert and the return of Kinsey. Congratulations to the Stargate Universe makeup department comprising of Rebecca Lee, April Boyes and Ceilidh Dunn for their 2012 Leo award for the episode Epilogue. Sanctuary won 3 awards for Visual Effects, Production Design and Costume Design and Pascale Hutton won Best Guest Performance for the episode Fugue. All in all not too shabby for the scifi genre although even in Canada the more generic dramas are ruling the roost. 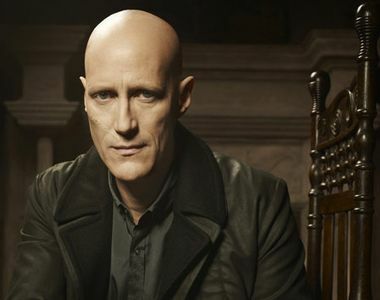 The Beast Within: Interview with Sanctuary’s Christopher Heyerdahl – The Morton Report. Christopher is a brilliant actor, he plays the role his chooses with such style and presence it’s hard to imagine anyone doing as good a job and lets not forget a lot of time he is under extensive prosthetics. A few days too late for the US but a few days early for the UK is the TV spot for Gary Jones best known for his role as Mst Sgt Walter Harriman as he guest stars in Sanctuary. The episode in question “Bank Job” is the shows take on a mission to recover an object safely tucked away in a vault but things go a little wrong and Helen and Co end up holding hostages and dealing with the feds, good fun especially a couple of the lines which were gems.